He is having vast experience in the textile business. He is engaged in this business from more than 31 years. He is having deep clientage in textile sectors in whole country. His knowledge of textile is very wide. He also attends various textile conferences in all over the world. Like ITMA, Textile Trade Exhibitions, and others. 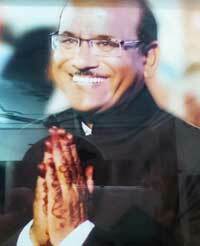 Mr. Vinod Jain is also engaged in various social activities and at present he is the Vice president of Lions Club Bhilwara. He is also managing the Lions Eye Hospital in Bhilwara from last 6-7 years. They also convince people for donating Eyes after death and for such efforts, he is awarded many time at various platforms like “Certificate of Excellence”. He was Best Secretary in his term from Lions Club. He is also organizing Eye camps, Blood camps, Uniform distribution at various schools and fruit distribution at hospitals. With all the social activities they also hold important posts in various organizations and committees. Like Treasurer at Om Tower Association, Public Relation Minister at Shantinath Digamber Jain Mandir Trust Arihant Colony, Sanrakshak at Ram Leela Committee. He is promoter and director of company. He is having vast knowledge in finance & Accounts field. He is Company Secretary (ACS) and MBA by profession. After completing his studies, He started business of cold storage. He is young entrepreneur who want to achieve new heights in the business. He is young, energetic and active persons having excellent business capabilities and decision making capacity. He is also engaged in the Project Finance / Retail Finance Business with Acumen Business Consultancy. 1. All India Warehousing and Logistic Exhibition, New Delhi. 2. Cold Chain Exhibition, Mumbai. He is promoter & director of the Company He is young, energetic and active persons having excellent business capabilities and decision making capacity. 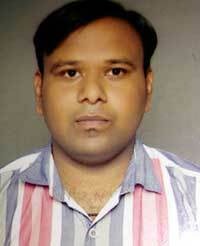 He is well educated & completed his B.com, M.com, Company Secretary Executive. Before this cold storage business, he was engaged in retail shop of Mobiles and electronics with his family. He is also having good experience of construction line. All the construction work of cold storage was done under his guidance. 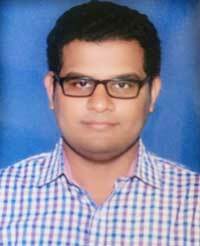 He is very hard worker and having good experience in warehousing management.